Description Mr.Red and Mr.Green are so hungry! Help them to get those tasty candies they dream about. 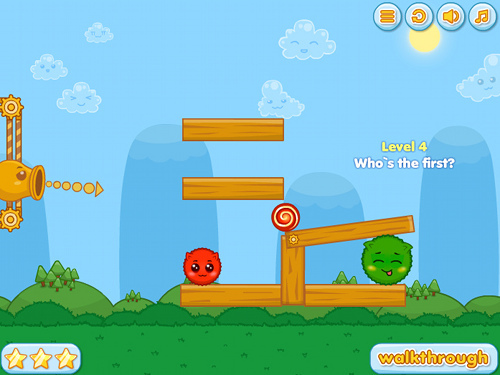 Shoot cute fluffies as bullets from cannon and guide heroes towards candies.